Being sick is never fun and while it takes time for the virus to run it’s course I have a few ideas to make the time pass a little more quickly. Soup & Tea with Honey – Hot soup will help to relieve nasal congestion. This fall I shared a soup to make you feel better recipe you can find it here. Tea is my go to sick remedy. As with the hot soup, the hot liquid soothes a sore throat and the honey adds flavor and helps soothe too. Read about my favorite teas here. Liquids – Flush out your body with lots of liquids, water or vitamin C rich orange juice. Iced tea is another option. Echinacea & Vitamins – I try to take vitamins on a fairly regular basis but I am more diligent when I am not feeling well. Echinacea is an herbal supplement made from a flower, I take it as soon as I feel a cold coming on. Read more here. Gargle with Salt Water – Take 1/4 teaspoon and stir it into a glass of warm water and gargle for 60 seconds. This does wonders for a sore throat by drawing out liquid in the tissue and can help prevent colds. Read more in this article. Rest – In my opinion, this is the biggest thing you can do for yourself. Get cozy on a couch with a blanket and a cup of tea. Allow your body time to fight what’s attacking it, don’t use up your strength with necessary tasks. If you’re reading this and you aren’t feeling well, I hope you feel better soon! 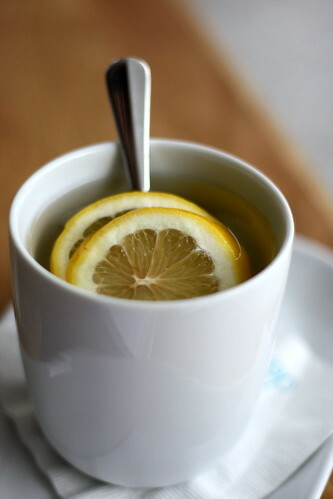 What are your favorite go to cold remedies to get through sickness quickly? Note: I am not a medical professional, I’m sharing this information to be helpful. As always, check with a medical professional for all medical advice. Thanks! Just what my wife needs for the moment, with this nasty weather! I hope she feels better soon! © Lindsay Voorhees and Lindsay Ann Loft, 2011-2016. Unauthorized use and/or duplication of this material without express and written permission from this blog’s author and/or owner is strictly prohibited. Excerpts and links may be used, provided that full and clear credit is given to Lindsay Voorhees and Lindsay Ann Loft with appropriate and specific direction to the original content. Lindsay Voorhees is a participant in the Amazon Services LLC Associates Program, an affiliate advertising program designed to provide a means for sites to earn advertising fees by advertising and linking to Amazon.com.